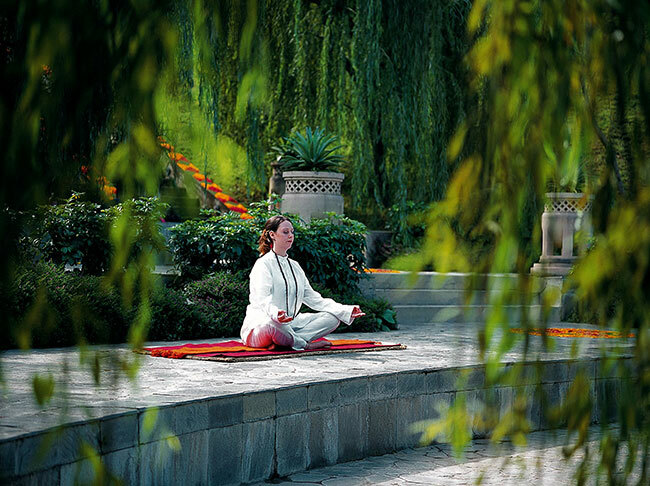 A peaceful place to meditate surrounded by nature’s lush views at Ananda Spa in the Himalayan foothills. An artistic centerpiece presents ingredients used at Ananda’s Spa. A few months ago, I was facing an exciting five-week book tour. It was cram-packed with travel and speaking engagements. Launching my new book, Design Your Next Chapter: How to Realize Your Dreams and Reinvent Your Life, would require all my energy and I was already feeling tired after a busy summer schedule. I knew what I had to do and I appreciate how lucky I am to be able to do this. I headed for India to a magical retreat located in the Himalayan foothills. Ananda Spa offers a comprehensive holistic experience that comprises yoga, physical and spiritual cleansing, nutritious cuisine and meditation. People journey here from all over the world. The first thing you do is don a pair of white pajamas – at first disconcerting as everyone looks the same, but that is the point. Impossible to judge each other by our appearance. This is immediately relaxing. The air is sweet so high up in the mountains, rooms are simple and comfortable. There are areas to chatter and spaces to be quiet, just like our homes should be. At Ananda I learned how to detach from all the busyness and noise in my head. I began to understand the necessity for ridding my mind of the negative thoughts that we are all surrounded with on a daily, even hourly basis. Frightening world news, noisy streets, workplace pressures, family responsibilities fight for space and time in our heads. Learning to juggle it all is a challenge that takes its toll on our bodies, our health and our moods. My experience not only revitalized me, but I was able to bring back lessons from this sweet spiritual haven. At Ananda I also learned to improve my day to day life. Our surroundings are key to triggering our sense of peace and understanding. Here are a few ideas for developing a routine that will help to keep you grounded and charged with your own brand of feel-good energy. Find a quiet place outdoors where you can be alone. It could be a nearby park, or beside a river or lake, but sit (or stand) where you are surrounded by nature and the view uplifts you. The constant presence of our natural habitat — trees, plants, water, sky, clouds, sun and stars are comforting and being part of the scene is a glorious stabilizer. Always return to your own serene space so that it becomes familiar. Repetitive acts and actions foster a calm state of mind. Notice different elements such as a familiar branch that changes with the seasons. Practice chanting. Sing or say a group of sounds or phrases over and over again, focusing on the rhythm and the sounds. Repetition is an age-old practice, both religious and spiritual that is comforting and quiets the mind. Then and only then is your body able to relax and refuel. 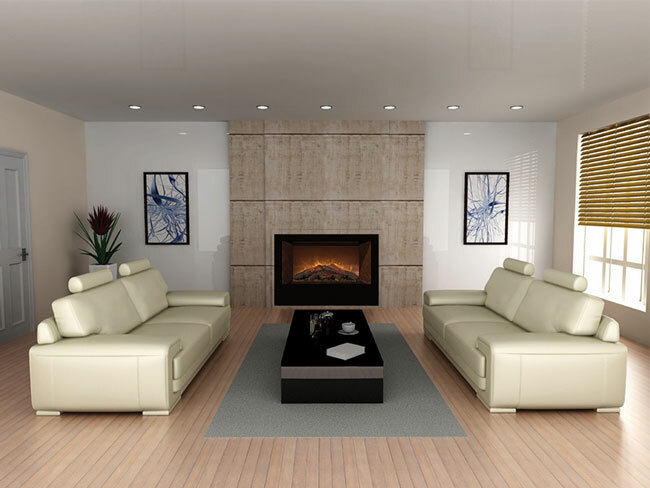 Inside your home, set aside a small area that is your quiet spot. Light a candle, have a healing scent fill the air, chant, sing or listen to meditative music. Make this a daily routine, even if it’s for 5 minutes. You will soon recognize the benefits, as will those around you. 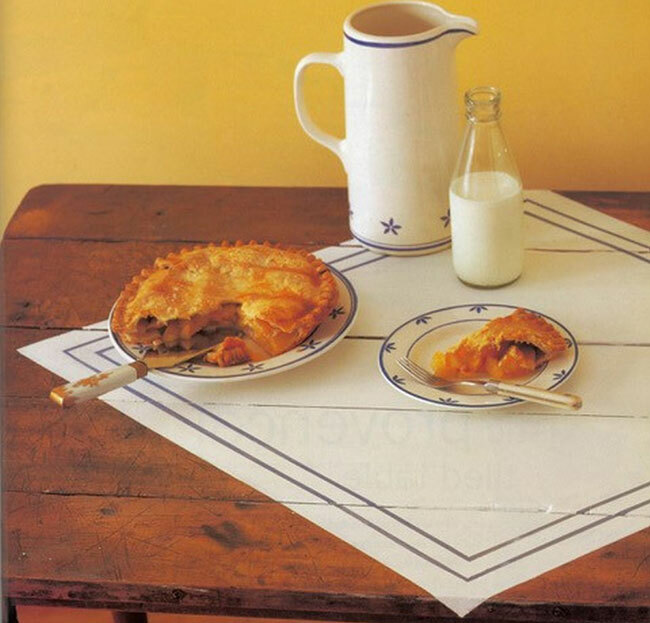 Bring beauty into everyday tasks. The Ananda dining experience is a feast for the senses. Indian dishes are presented with an artist’s touch, often on a round platter called a thali. Servings are placed in a circle with dips or sauces in the middle. 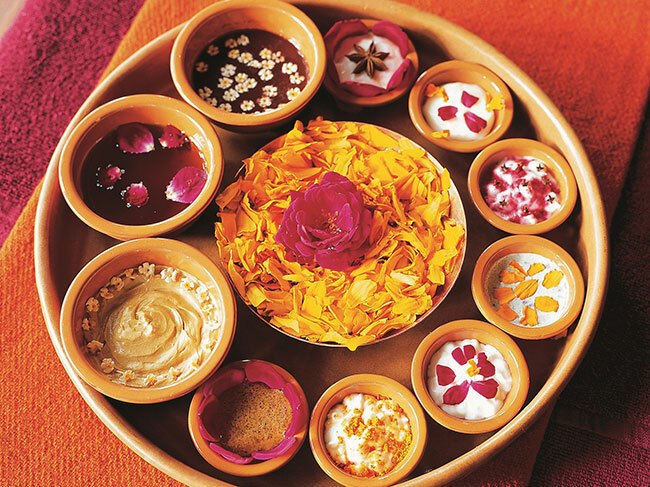 Not just for food, the thali offers up other decorative ideas such as the one shown here that showcases ingredients used for various spa therapies including flower petals, crystals, scrubs and clay. Design your own thali to sit on a bedroom dresser or bathroom counter. The task of setting up a beautiful vignette will clear your mind of negative thoughts and every time you see it, the arrangement will remind you of peaceful moments.